We use a hydrodynamic model self-consistently coupled to a 1D Poisson solver to simulate the excitation by optical beating as well as by electrical perturbation of plasma waves in n+nn+ InGaAs diodes at room temperature. 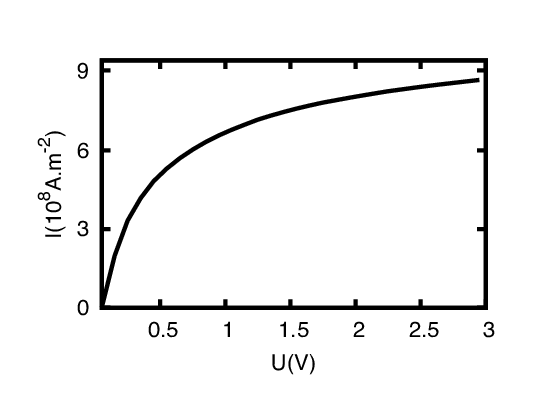 We calculate the electric field response and the velocity response of the carriers in the middle of the diode regions. Our results show clearly the presence of three-dimensional plasma resonances in the terahertz frequency domain for the two region types (n and n+). The investigation is completed by calculating the local differential mobility.